The telecom operator has reportedly refreshed its prepaid plans and is offering additional data on plans priced between Rs 186 and Rs 999. BSNL has reportedly announced additional data on all of its prepaid packs that are priced between Rs 186 and Rs 999. As per a TelecomTalk report, the state-run telecom operator has bumped up the amount of data it offers on all of the prepaid plans priced between the above-mentioned range and the Rs 444 prepaid recharge, which previously offered 4GB of data per day now comes with 6GB of extra data and with a 60-day validity. However, as it is said to be a Special Tariff Voucher (STV), the recharged does not come with any other benefits like unlimited voice calling or SMS. As mentioned earlier, the company has also updated plans in the Rs 186 and Rs 999 range to offer more data. 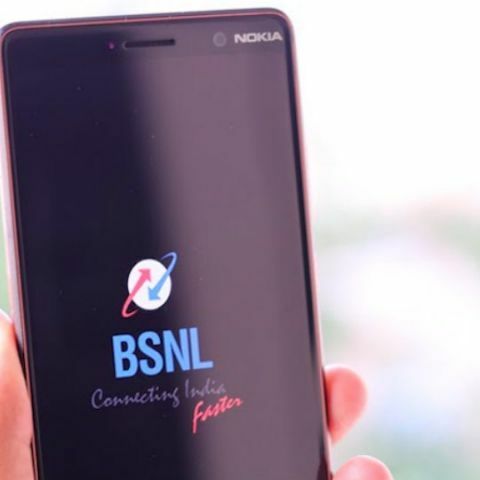 BSNL is now offering 3GB of data with its prepaid unlimited plans priced at Rs 999, Rs 429 and Rs 186, which come with varying validities of 180 days, 81 days, and 28 days respectively. There is also the Rs 666 pack, which offers 3.5GB of daily data and comes with a validity of 120 days. As per the report, the additional data benefits are available as a promotional offer for 60 days, starting June 18. The benefits would be available in all of BSNL's circles. However, it should be noted that there could be an FUP limit on some of these plans, so one is advised to check before recharging. The telecom operator has also refreshed its 3G Data STV plans. The Rs 448, Rs 349 and Rs 187 plans now come with 2GB of additional data. There is also a Rs 333 prepaid plan that comes with 5GB of data per day with a validity of 90 days. The aforementioned Rs 444 prepaid plans, along with the Rs 333 pack, reportedly offer unlimited on-net calling as well.